Protecting your skin has never been so delightful. 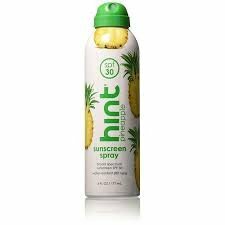 Introducing hint® sunscreen, a clear, continuous sunscreen mist made with the subtle natural fruit essences you love- grapefruit, pear, and pineapple. Try them all-you won't be able to pick a favorite!